Ordinary people, who know the power of God, can do extraordinary things. Now three days after Festus had arrived in the province, he went up to Jerusalem from Caesarea. And the chief priests and the principal men of the Jews laid out their case against Paul, and they urged him, asking as a favor against Paul that he summon him to Jerusalem — because they were planning an ambush to kill him on the way. Festus replied that Paul was being kept at Caesarea and that he himself intended to go there shortly. "So," said he, "let the men of authority among you go down with me, and if there is anything wrong about the man, let them bring charges against him." Festus is Porcius Festus, the new governor (procurator) of Galilee and Judea. When he arrives, Paul has been under arrest in Caesarea for over two years; Festus' predecessor (Felix) handled the difficult situation by simply doing nothing. The Jewish authorities in the Sanhedrin were content as long as Paul was held in prison, and Felix would not find him innocent without a bribe. On the other hand, there was no evidence of Paul's guilt, and Felix would not find him guilty. Festus is thus faced with the exact same situation as Felix had been. 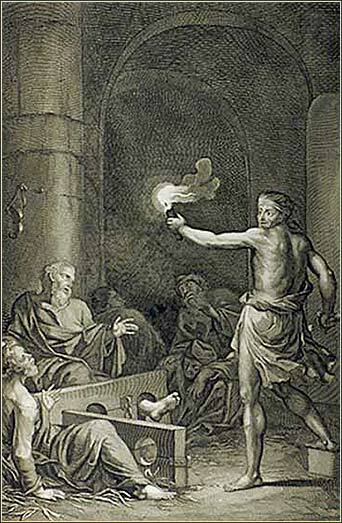 The Jews want Paul transferred to Jerusalem, so that they can murder him. And once again, a trial is held just as it had been two years before. Festus was, by all accounts, a fair-minded and honest governor, in stark contrast to his predecessor, but he did not have Felix's experience and knowledge. He especially did not have Felix's deep knowledge of Judaism; Felix, after all, was married to a Jew. And also, the Sanhedrin had certainly had a part in Felix's recall to Rome, so Festus would not have wanted to offend them unnecessarily. The Book of Acts skips over the details of the charges against Paul, Paul's defense, and the Jewish authorities involved. (Ananais had, by this time, been replaced as high priest.) But we will find out more detail later in Chapter 25, when Festus discusses the case with Agrippa (the current Jewish king) and his sister Bernice.